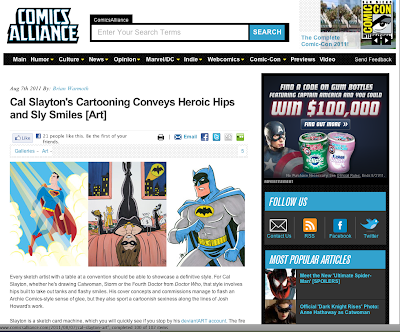 "...style involves hips built to take out tanks and flashy smiles. 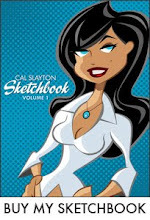 His cover concepts and commissions manage to flash an Archie Comics-style sense of glee, but they also sport a cartoonish sexiness..."
So, please visit their site and check out all the great articles. My favorite is "Best Art Ever" which I check out every Friday and was honored to be a part of recently. Thanks Comics Alliance!